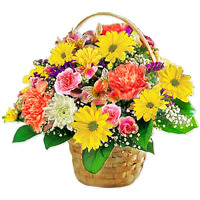 Stylish and charming, this alluring basket comes brimming with fresh alstroemeria, carnations, gerberas, chrysanthemums and seasonal fillers to give you a simple taste of the finer things in life. 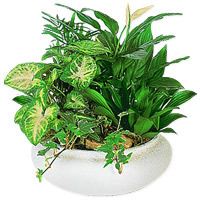 This cosmopolitan arrangement of 2-3 assorted green plants, adds fluid harmony and luxury to the contemporary home or office. 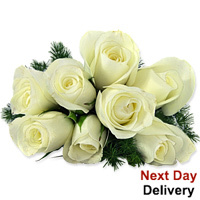 Reflecting the perfect simplicity of beautiful bouquet of 8 white roses in full bloom. 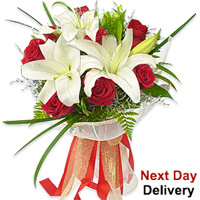 It is a fresh and distinctive hand-tied with care. Only $122.99 - Click here to buy now! 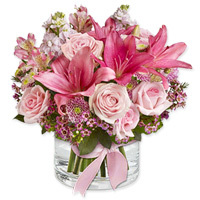 The sublime scented lilies and vibrant red roses in this spectacular arrangement, are sure to radiate the feelings of love and affection in your loved ones heart. 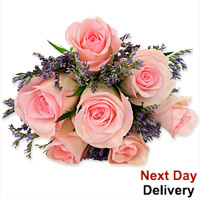 Take your sweetheart to this beautiful lagoon with this gorgeous bouquet of 8 soft pink roses. 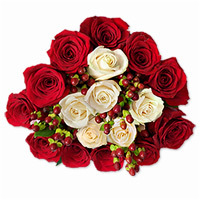 Cast a spell of luxury and extravagance with this charming bouquet of 3 beautiful red roses in a crystal vase accompanied with a plush bear and irresistible chocolates. Only $109.99 - Click here to buy now!